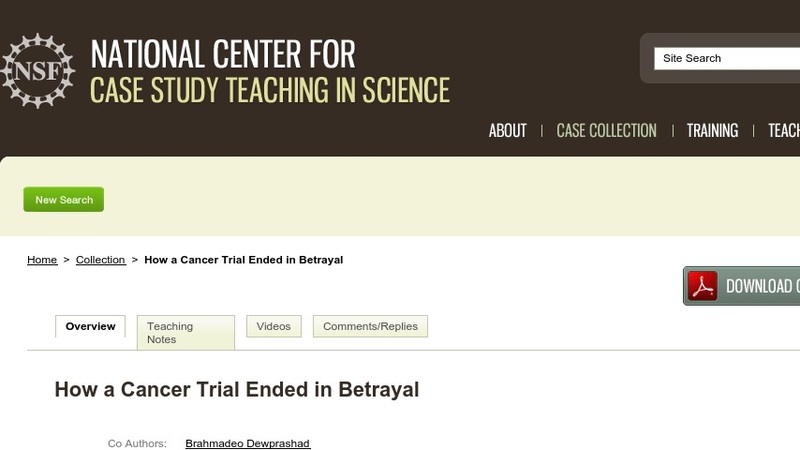 In this case study, students learn about the complexities and issues associated with clinical trials. After reading a newspaper story about a fraudulently conducted clinical trial involving a treatment for skin cancer, students simulate their own small-scale “clinical trial” in class. The simulation involves a secret breaching of a blind test and manipulation of data to favor a positive effect for a particular proprietary drug. As part of the simulation, students examine “before” and "after” photographs of skin lesions from “patients.” Developed for first- or second-year college students, the case focuses on the scientific method, with special attention to the issues of objectivity and ethics in scientific research. The case study can be adapted to emphasize other topics, such as the pathophysiology and treatment of cancer. It can also be tailored to specific student populations, such as health professional students , by including in the case more information on the drug approval process (pre-clinical and clinical trials), T-cell lymphoma, and the effects of the immunosuppresive drug, BCX-34.